Successfully saved Baked One Pan Chicken Potatoes and Vegetables to your Calendar. You can also save the ingredients to your Grocery List. 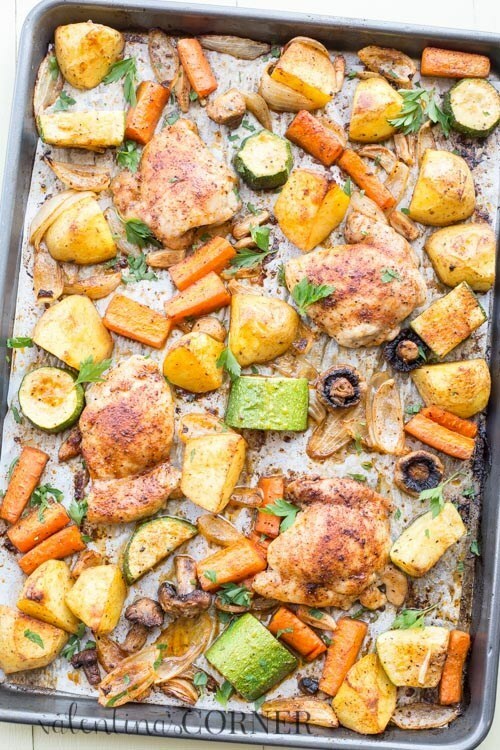 I love this one-pan chicken potatoes & vegetables recipe. Chicken thighs with potatoes, carrots, zucchini and mushrooms. It's such an easy meal to throw together.